What's the secret that every makeup artist does when apply blush to their clients??? 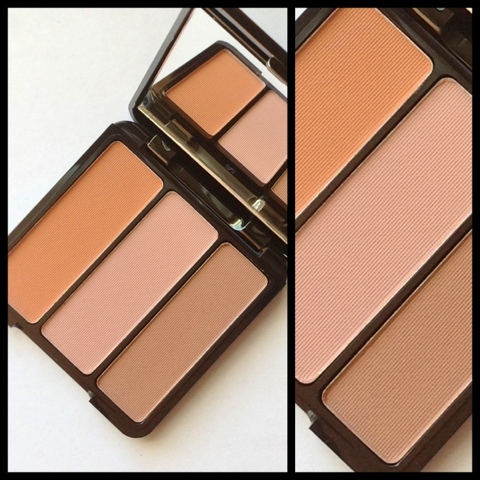 We use a little bit of peach, a little bit of pink and a little bit of bronzer! 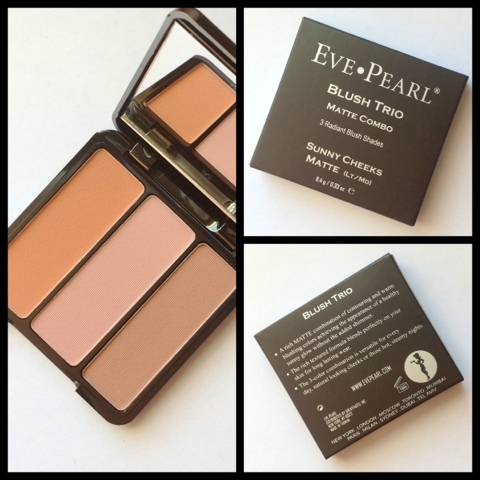 True to all of Eve Pearl Cosmetics her blush trio's are a fool proof way to achieving the perfect flush cheek. 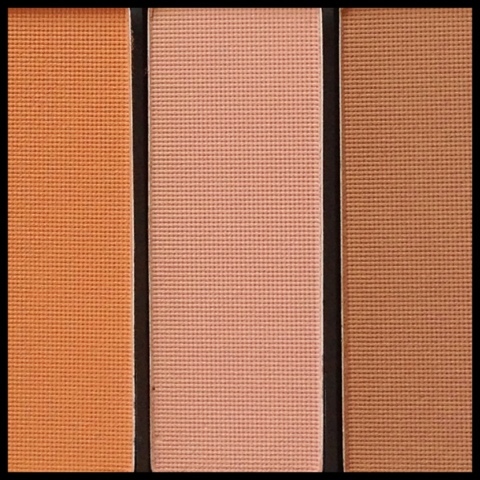 This blush trio has done all the thinking for you! Sweep Eve's #110 Fan ($35.00 USD) brush along all three shades to get that beautiful natural flush look. The EP (Eve Pearl) Fan brush is also perfect size to add a little more of one colour (let's say to the apples of your cheeks) because it fits nicely in each shade pan! One of my favorite things about this particular blushers is that its ideal for contouring your face. What I like to do is to take that #110 brush pick up some of the Bronzer shade (alone) to scalp my face. There are also 7 palette's available very every complexion. 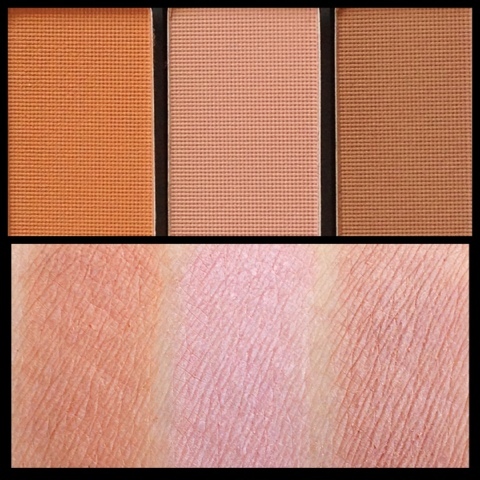 Although this particular palette is lovely for every skin tone. 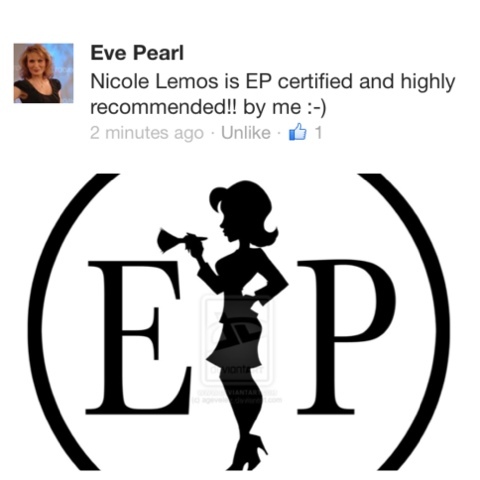 All of Eve Pearl's blush trio are infused with Vitamin E and are long lasting! Like all of the EP cosmetics these are high quality professional products available for everyone! 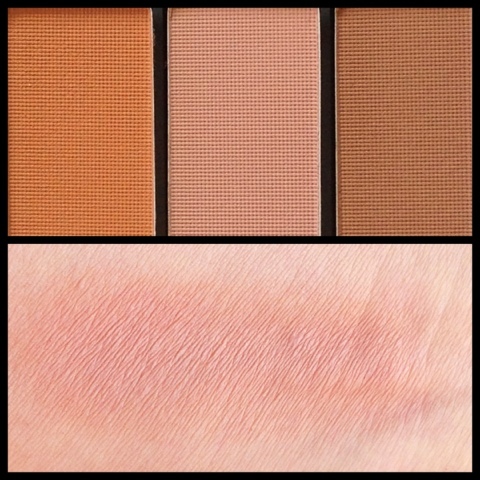 Close up of all three shades in the palette. All shades mixed and blended together. Here is a look I did using the Sunny Cheeks Matte Blush Trio, Click Here. Seriously this is a must have blush!!! Just beautiful!!! This bush trio looks awesome... Wish EP was in my budget.